Several years ago, the gift packaging project pictured below was posted on Martha Stewart’s site. It’s no longer there, but it continues to live on via Pinterest and gets circulated in the various craft groups every so often. When it first appeared, I started working on a font to make it easy to create these stand up letters with a digital diecutter. Soon, however, new features like the eraser tool were added to our diecutting software that made a specialty font unnecessary. But now that Cricut Design Space has hit the scene, I’m dusting off some old resources that can be really useful given its limited feature set. And this one is a time saver no matter which software you use. Download Top College here note: if you see a message at this link that says the file format is not supported you can ignore it. That just means the file type (.zip) can’t be previewed. 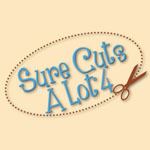 If you like it, I’d appreciate a pin, a tweet or a mention in your favorite diecutting group. To use Top College in your diecutting software, simply type. All of the letters are upper case, but when you use upper case on your keyboard, you get letters with score marks and when you use lower case on your keyboard the letters will appear without score marks. This way you can decide which works best for your project. To use, simply type. 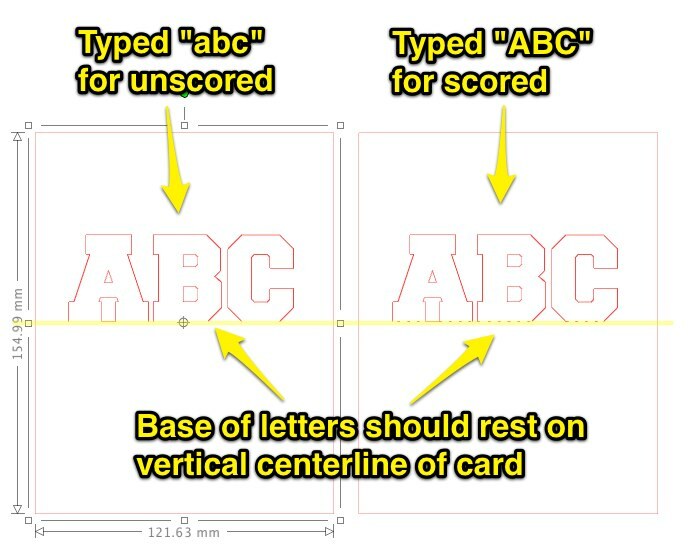 If you want the letters to stand up from the top of a downward folded card, be sure to position the base of the text so that it rests on the vertical center line of your card as shown here. I should mention that this font has very thin lines that will seem to disappear in pull down menus, so you may have to locate it by typing into the search box instead of scrolling. And because no one likes single layer text (and Top College font can’t be offset properly), I designed it to work as a background/mat/shadow for a thinner font called CollegiateInsideFLF. 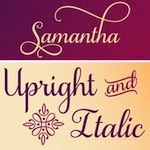 The companion font is widely available online but I’m including it in the download package for your convenience. Be sure to type in all caps when using CollegiateInsideFLF. 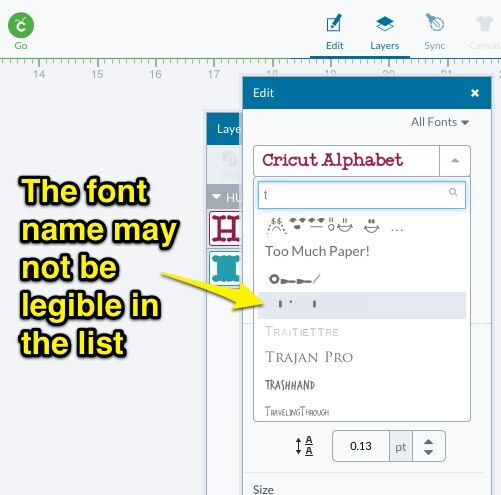 You will have to isolate letters and use the arrow keys to correct the spacing in Cricut Design Space, but it will line up perfectly in other programs as long as the font size and character spacing settings are the same as the Top College layer. Here are some samples I put together to show you how Top College works with and without CollegiateInsideFLF. At the back is the corner of what I envision as a placemat, with the stand up portion used as the shadow for the blue letters cut from the companion font. In front is a ribbon that I split and inserted the strip of cut letters through. (This allows you to have a ribbon that is longer than your paper.) And my favorite is the black placecard, made by drawing the companion font with a sketch fill using a metallic pen in Silhouette Studio, and then cutting the unscored version of Top College from the center of the card. I can’t wait to see your projects. Here’s a video where I show how to use Top College in Cricut Design Space and Silhouette Studio. 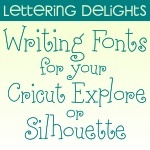 If you don’t know how to install fonts in Windows, click here and for Mac, click here. The future is uncertain because love changes everything. There’s not a link. I’ve embedded the video itself there. Not sure why you can’t see it. Hmmm. Thanks so much for sharing that, Flo! thank you so much for all your generous help and all the information you provide! I´ve learned so much from your texts and videos! oh wait – I take it back – I’m sorry – not enough coffee yet! I really do appreciate your posts. They’re always very informative, whether they apply to me or not. You’ve been especially helpful with the Silhouette Cameo. Thank you! 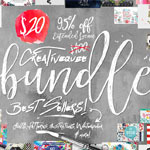 Hi Kay, I love this new font and am having so much fun with it already! I have pics of two quick things I’ve made so far and was wondering how I can get them to you? Thank you so much for showing this. I made one just now and it worked perfectly! I appreciate you! WOW! Thank you! This is a lot of work for you and I really appreciate your time and effort! 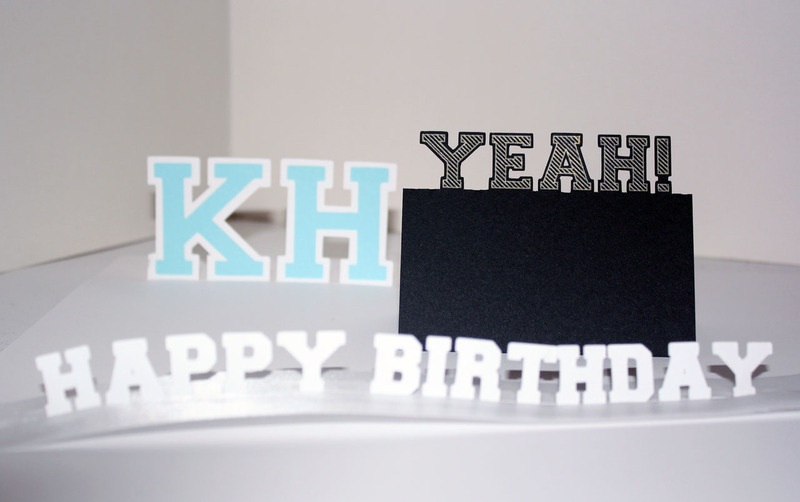 Kay, thank you so much for sharing this font! I just my first cut with it and love it! 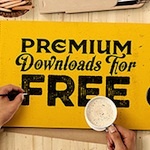 This font is amazing, thank you so much for sharing it and making it free! What are the copywrite rules for it please? Free for personal and commercial use. I always appreciate a link back to this page when it is convenient for you to do so. 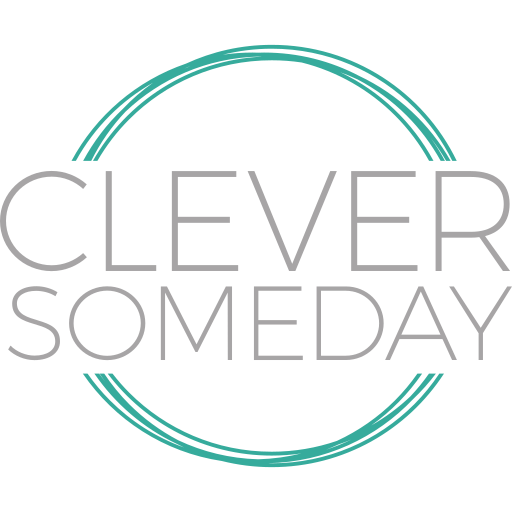 Thank you so much for this font and the tutorial. Kay I can’t find the collegiant font. Can you direct me please?